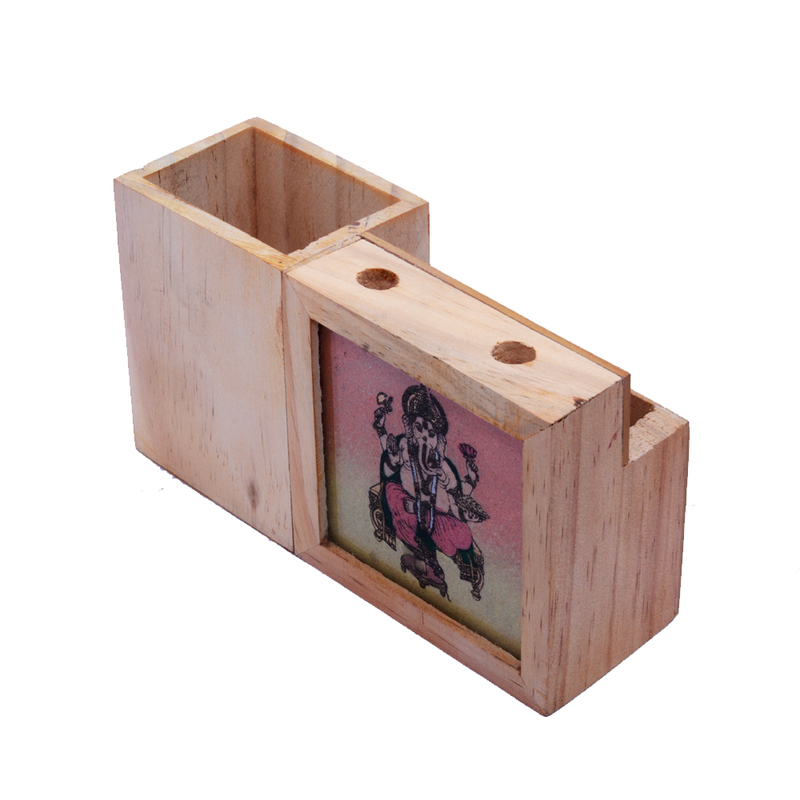 This Traditional Wooden Card Holder and Pen Stand for Office Purpose is sure to hold appeal if you are fond of ethnic design work on Read More..items of everyday use. The intricately carved card holder and pen stand from the finest quality wood is ideal for its designated use within any office space. Moreover, the tradition paintings present on its body adds to its visual allure, while impressing all its beholders. This is one item that is a must in all aesthetically pleasing office space. Show Less..